GH - Will Carly Marry Sonny? OLTL's Spencer - Ready, Aim, Fire! Boxers or Briefs? And who buys them for you? 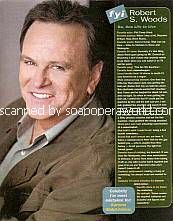 Click to be notified when 1-16-07 Soap Opera Weekly JAY KENNETH JOHNSON-SCOTT HOLMES is back in stock!